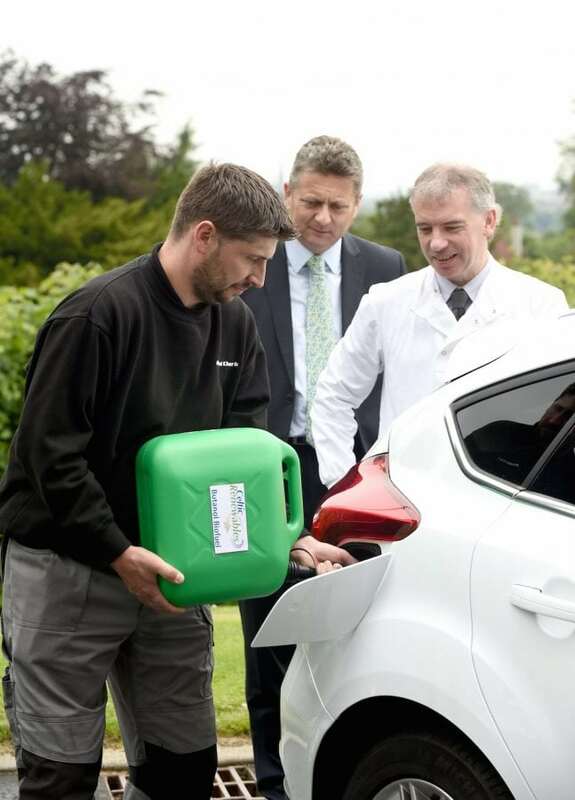 The world’s first car running on a biofuel made from WHISKY residue has had its first successful test drive. The fuel – biobutanol – is a brand new type of sustainable fuel and is designed to be a direct replacement for petrol and diesel. It is produced from draff – the sugar-rich kernels of barley which are soaked in water to facilitate the fermentation process necessary for whisky production. The other main ingredient is pot ale, the copper-containing yeasty liquid that is left over following distillation. Unlike other biofuels, biobutanol can be used as a direct replacement for road fuels like petrol or diesel. And it can be used in cars without the need for engine modification. The idea was developed by Edinburgh-based Celtic Renewables Ltd. in cooperation with Tullibardine Distillery in Perthshire. And its creators believe the groundbreaking process could “revolutionise” sustainable transport. Celtic Renewables founder and president Prof Martin Tangney said the residue was of no value whatsoever to the whisky industry. 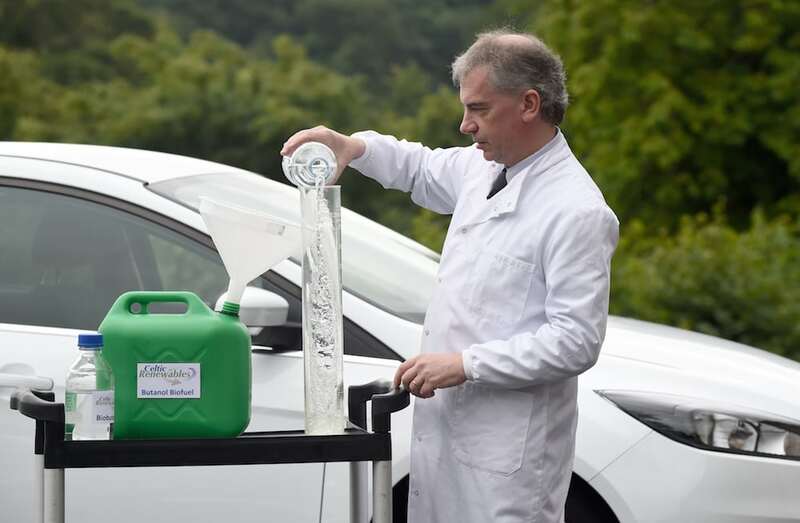 And after successfully testing the fuel on a Ford Fiesta, he said: “What we developed was a process to combine the liquid with the solid, and used an entirely different traditional fermentation process called ABE, and it makes the chemical called biobutanol. 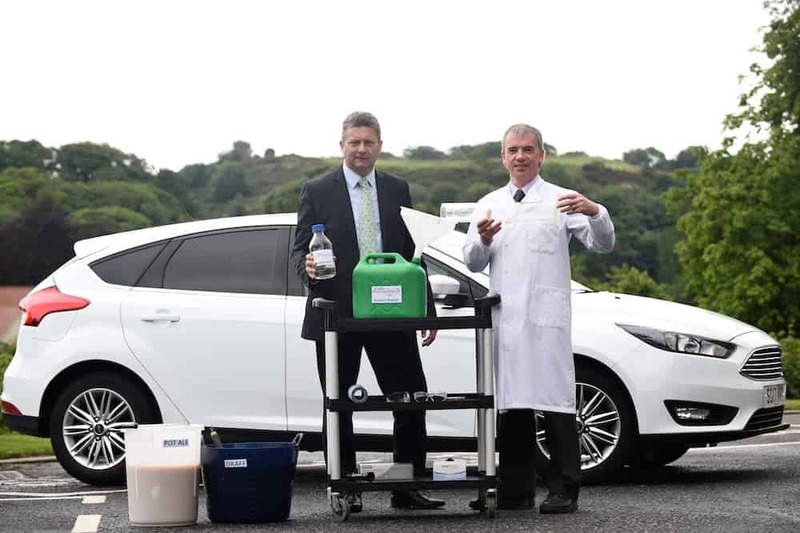 Professor Tangney added: “This is the first time in history that a car has ever been driven with a biofuel produced from whisky production residues. “It is fitting to do this historic drive in Scotland, which is famous not just for its world-renowned whisky but also for being a powerhouse for renewable energy. The Edinburgh-based company recently received a £9m government grant to build a commercial demonstrator plant in Grangemouth, near Falkirk, that will be fully operational by 2019. Almost 750,000 tonnes of draff and two billion litres of pot ale are produced by the malt whisky industry in Scotland every year. 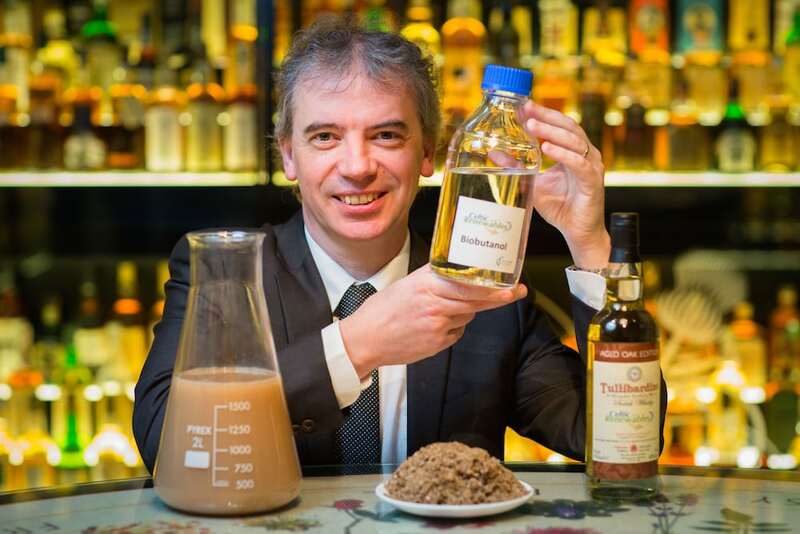 The fuel creators believe their whisky biofuel has huge global potential, and could create an industry in Scotland worth £100m. But they will also be targeting other whisky-producing countries, such as Japan, India and the US.